The Varsity Cup is Back! The FNB Varsity Cup is just one week away and for 3 months Monday nights will once again have meaning. It also means there is an opportunity to get one over a sibling, a friend or a colleague as you back your old hunting ground. And when Varsity sport is involved then you know there is going to be some sort of innovation. So what can we look forward to in the 2014 edition? One of the greatest battles to watch in sport, is a relegation battle. Backs against the wall, it’s all or nothing. It’s at these times that the teams are able to dig deep and find something that they have been missing all season. In 2014 the FNB Varsity Cup will once again feature the Promotion/Relegation that was last seen in 2012. The last placed team in the cup will be automatically relegated while the 7th placed team will play the Shield runner-up. That could prove to be an epic match. Remember in the 2007 World Cup where Os du Randt wore the special shirt to help give the Springboks the upper-hand in the scrums. 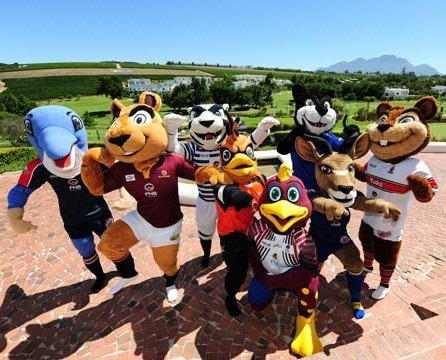 This year the FNB Varsity Cup will follow suit, but with safety as the main goal. The new shirts will aid in the grip and provide a stable basis for the scrums and especially the binding. No more Romain Poite type of errors. The FNB Varsity Cup will feature two referees on the field of play with both being able to make a call. It will be interesting to see how they share the workload or whether they consult each other before big decisions. But it works in hockey and I think it could be a great addition to rugby. Consistency will be the key. In a bid to decrease the amount of kicking and improve on the excitement created by running rugby. In essence it means a ball can be marked anyway on the field and not just in the 22. A pointless kick could be easily punished now as teams would have an unchallenged platform to build an attack from.